On February 4th 2011 we enter a new solar Chinese New year (year 4708th in the Chinese calendar), the year of the Yin Metal Rabbit (Xin Mao). The last time we had a Yin Metal Rabbit (Xia Mao) year was back in 1951 and this is known as a cycle of 60 which will be found in a traditional “ten thousand year calendar or our Tong Shu 2011 software). The 2011 Xuan Kong annual flying stars full analysis is detailed below. Please do not get confused with solar (place Feng Shui cures – spring begins) and lunar (celebrate Chinese New Year) calendars, more on this below. In 2011 Cures and Enhancers are needed more than ever as the flying star #8 flies into the northwest metal Chien palace and this can cause financial problems and/or problems with the eldest male in the home or business as there is a clash of elements in the northwest palace and very special and little known cures and talismans are needed in 2011. Are you really prepared? Over the last twelve years around Chinese New Year we put together a valuable and essential Feng Shui cures and enhancer’s kit of little known Feng Shui cures and enhancers that can be placed at any time of the year. In February 2011 the most auspicious number 8 star visits the northwest metal palace and we will need some very powerful cures and enhancers as there is a clash of elements between earth and metal. Many of these cures and enhancers we are using in 2011 are very tightly held secrets and although many websites have tried to copy them from us, they do not have the formula right and this can actually cause more harm than good. The 2011 Feng Shui cures and enhancers kit is not just some gimmicky cures put together; they are extremely powerful cures and enhancers that only the most advanced Feng Shui Masters and Practitioners throughout the world use and quite a few of the cures in our kits are one that many Feng Shui Masters charge thousands of pounds for. It does not matter how late in the year in 2011 you place your cures kit, we have many clients who have even placed them towards the end of the year and still got great results. The most influential and imperative cure and enhancer in 2011 is called a Gui Yao Master cure and can only to be used in Xin Mao (yin metal Rabbit) year, the last time this powerful cure would have been used was in 1951. This cure is needed to enhance and protect in 2011 especially for the eldest male of a home or business and loss of wealth. This cure is only known to a few specialist Feng Shui Masters and in the old days and even now in Asia you would need to employ a expert Feng Shui Master to call at your home or business and the Master would spend hours carving the secret inscriptions onto a Luo Pan earth plate made from the finest slate or marble, which would then be placed in the northwest of your home or business and then setting the special quartz crystals, i-ching coin and the magnetic lodestone ladle would have to point towards the Li palace of the south. This would normally cost tens of thousands of pounds and obviously only available to the very rich and this is still the case in many parts of the world and the reason why we create these powerful cures so all can afford them at a fraction of the cost. Each of the rare and valuable semi-precious quartz crystals work in synergy with the inherent element of the Luo Shu Gua Trigrams giving total protection for wealth, health & peace of mind and releasing the #8 star from the powerful energies of the 6 Chien star in the northwest in 2011 to permeate the whole building. The most powerful quartz crystal used is the magnetic Hematite which is a master stone with amazing protection qualities and also superb for wealth and business, you cannot use normal Hematite as you must have the magnetic type to replicate the lodestone used in the old days, this is very important and if used in any other formation or incorrect crystals it can cause problems. We only use the finest quality authentic handpicked quartz crystals which are empowered with sheng chi energy and they have to be placed exactly as shown in the enclosed instructions with an auspicious dynasty Chinese I-ching coin placed in the centre of the earth plate lo shu grid under the lodestone ladle which must measure 4cm in width as this is called a “Chai” auspicious measurement which is said bring much money and good luck. The Luo Pan earth plate is custom made by us and must measure between 101 & 106mm and engraved with the special and little know talismans and Trigrams and made from 500 million year old Snowdonia slate which is the finest quality earth element you will ever find, This earth plate must face a certain compass direction (the instructions show you how to set this cure up) even if you do not own a compass for northern and southern hemispheres so it does not matter where in the world you live. With the #8 star visiting the northwest Chien palace in 2011 you have earth meeting metal which is a weakening combination and can cause legal problems, arguments, back stabbing and much more and needs very specific cures and of course when you combine all this destructive energy you need the best cure available in the NW in 2011. Feng Shui was actually only available to the rich in the old days. The old Feng Shui Masters would use a Lou Pan compass with a lodestone used as a needle that pointed towards the south as a cure and whilst the ancient Lou Pan is by far the best cure they would normally be far too expensive and only the rich could afford to use them especially as you had to use the lodestone lou pan type compass which nowadays are collector’s items and we have a collection of many of them although we would not use them as cures as the Talismans set in them need to be done from when they are first made. The reason why you use a Lou Pan is that the Trigram Chien situated in the northwest is an earth element and the shape of a Lou Pan is square which is fire shaped but the most important cure is actually the arrow shape of the lodestone which is called an “earth pate” and the reason why they are used, as they resonate with the Chien Trigram so well. We have had this amazing cure custom made at a cost that will suit all pockets. This is one of the most powerful and commanding cures and enhancers for wealth, health, relationships and protection in 2011 and because this cure is essential for wealth and protection in 2011 we decided to include it standard in all our 2011 cures and enhancers kit. enhancers kit please click here. Are you really prepared for 2011? In 2011 we have the #8white Star (Zuo Fu) visit the northwest Chien palace and whilst #8 star is an auspicious star, the fact that it is in conflict with the metal energy of the Chien NW palace can cause many problems associated with finances and some very powerful cures are needed in 2011 to combat this. The predictions we made for 2010 and many years before then were as usual 100% accurate and fortunately thousands of our clients have survived the dip in the economy and many other problems not just in 2010 but over a decade before then, you can read the thousands of emails and Facebook comments from people who testify our annual cures kits. The Year of the Rabbit is normally a more peaceful year which is a blessing after the turbulent year of the Tiger although there will still be many ups and downs throughout the year and very special Feng Shui cures and enhancers are needed to avoid problems in 2011 especially when it comes to finance as this is an area that needs many cures and enhancers in 2011. With the Rabbit year you can expect a quieter year although finances are still an issue especially as we have the #8 wealth star in conflict flying into the northwest, this clash of elements can bring financial problems and sadly we are not out of the woods yet so financial control is still needed although we have hundreds of clients give us feedback on the annual cures they used in 2010 and everyone has been positive and as a company we had one of our best years yet so if you follow the 2011 advice on cures and enhancers all will be well. As in 2010, you still need to take care again with investments in 2011 and be frugal and of course make sure you place all your 2011 annual cures and enhancers as this will help lessen the effects and turn a potentially bad year into a good one. The stock markets from a Feng Shui point of view can still be volatile and you must be very careful if you intend to deal with this risky sector. Fuel prices will rocket but a Rabbit year is normally a year of new inventions and medical discoveries so alternative fuels could be on the horizon and the medical world should make good headway in 2011, in fact revolutionary medical and scientific inventions should be quite amazing in 2011. I am so looking forward to a car that runs on water, is this dreaming? Those born in the year of the Rooster may be affected by the conflicting influences of the year of the Yin Metal Rabbit (Xin Mao) 2011. The degree of influence varies from one person to another. One of the major considerations is the heavenly stem of the year in which one was born, so those who were born in 1933 & 1993 (Yin water Rooster) will have a rougher ride than those born in 1957 (Yin fire Rooster). Rooster also born in metal and earth years, 2011 will be better. For more information on your personal Chinese Animal predictions for 2011 click here. The forecast for the Rooster may be inauspicious in 2011 but please remember this is only one small influence in the big scheme of things in life. Things can turn out really well despite this, if you turn your attention to the annual and monthly flying star forecast on the energies of the space you occupy in your home and office in order to reduce predicaments. Combine this with flying star 2011 software and date selection software, you increase your chances of a good year even more. I have thousands of clients from every corner of the world and over the years each home and person I see will be different, as an example in 2011 if you have a bedroom or main door in the north, south or east this can cause problems with finances, bad luck, relationships, chest, stomach and also depression and if you were a person that smoked heavily it would without doubt cause you many chest related problems, however, if in 2011 you smoke less or better still stopped smoking the risk is reduced and if you combine this with placing our annual cures and enhancers the risk is even less. There is no standard Feng Shui, one man’s food is another man’s poison. Surely our 2011 cures and enhancers will make me exempt from any problems? If your bedroom is in the north, east or south and you were overweight, smoked, ate junk food daily, drank heavily and a bit of a couch potato and thought that taking a vitamin C tablet at the end of the day will rejuvenate your body and mind, you are very much mistaken. As hard as this may sound, you will, I guarantee you will have problems in 2011 but if you make changes this year you will avoid many of those problems, placing just the cures and enhancers on their own will help tremendously but you also should make lifestyle changes as well and I think the good that will come from 2011 will be that we will appreciate more of what we have and to me this is real wealth. Please do not think I am standing on my high horse being all righteous and perfect, far from it, I am just giving you this advice as I have worked with thousands of clients throughout the world and I know the outcome. With all that said please do not start panicking if your bedroom, living room, main door or office are located in the north, east or south, just start preparing to place your 2011 cures and enhancers kit to ensure a trouble free year in 2011, and of course make sure you sign up for our free Feng Shui monthly newsletter so you are kept up to date with the monthly flying stars giving you even more control of your destiny. My home office is located in the south and it will NOT cause me any problems at all so please take the same attitude and all will be well. The south in 2010 was also not good at all and as a company and me individually had one of our best years so stay focused and follow the advice here. In 2011, I will be placing every single cure and enhancer that I talk about on these pages but I will also make some more lifestyle changes. I am 52 years old, if I am not in my car; I am on a train or a plane or sat at my desk. With my travels all over the world I eat in a lot of hotels and restaurants and whilst they are always good quality it is still not the right food for me. I do meditate nearly every day; I do take long walks twice a week and do qi gong nearly every day, however, my objective for 2011, is to place all the annual cures and enhancers, eat better and healthier and take more exercise, this has actually been my aim since I turned the dreaded 50 and so far so good, in fact I feel more like 25 rather than 52. As you may know we have provided this advice on-line to hundreds of thousands of Feng Shui Masters, Practitioners, students and enthusiast for 12 years now and although we make suggestions on cures and enhancers we do not always agree with many websites insisting that you have to spend hundreds of pounds each year on cures and enhancers, they are simply not needed. There are two products I do strongly recommend, which are, our 2011 annual cures kit and the world’s most powerful and most widely used all new Feng Shui 2011 software, with over seven years in development, over 52 combined years Feng Shui experience and one year of beta testing with Feng Shui Master’s, Practitioners and students from all over the world, Michael Hanna and the International Academy of Feng Shui have built the most powerful Feng Shui software available. This software is used by thousands of Feng Shui Master’s. Practitioners, students and enthusiasts from over 118 different countries throughout the world. What do I do with last year’s cures & enhancer’s kit? Most books or websites will advise you to throw away your old annual cures and enhancers or bury your old six-rod wind chimes; six Chinese coins tied with red ribbon, Pi Yao, wu lou, ba gua mirror etc from the previous year because they store so much negative energy. This is not always necessary as long as you cleanse the items before replacing for the new Chinese year. To cleanse them ideally you should place outside under a full moon overnight or in direct sunlight for at least 4 hours and sprinkle with rock or normal salt. Rinse under water (don’t forget to dry them) in the morning and place them in the appropriate areas. This does not apply to the salt water cure, as this MUST be renewed every year without exception. As with all our products including the annual cures kits, they are all cleansed of negative energy and empowered with positive Sheng Ch’i energy, which makes them so much more effective. Many people write in asking if we personally change our cures and enhancers kit each year as nearly all websites and books say you should throw them away. Our circumstances are different to yours, we have thousands of these cures and enhancers in our warehouse but we have never changed our Wu Lou (20 years old) or Tsai Shen Yeh. We change our wind chime & Pi Yao every year, the salt water cure we change without fail each year and I must admit the six Chinese coins tied in a row with red ribbon we always change and our Ba Gua mirror yearly as these are very bad to keep for too long and the reason why we will never sell plastic or metal Ba Gua mirrors as they do not age and store so much negative energy and will cause you many problems. My advice is even if you have our kit from twelve years ago, carry on using it but follow the advice above about cleansing and make sure the salt water cure (must replace) and maybe six coins are replaced as these hold a lot of negative energy. Please never throw your Wu Lou away these are specially made for us and are the correct weight and size and I think they are a work of art and extremely powerful. I cannot afford these cures or enhancers and/or my partner does not believe in Feng Shui? Your home or office does not have to look like a Chinese restaurant to have good Feng Shui, if you do not want to have six Chinese coins tied in a row with red ribbon or a Wu Lou beside the bed there are alternatives. For the south and east of your home or office use good quality heavy metal ornaments, a good shape is round as this represents metal but avoid menacing looking ornaments like metal knives or similar. I have some clients who hide cures like a set of six Chinese coins tied together with ribbon hidden behind a picture or similar and still get great results. An alternative to a salt water cure in the east and south although nowhere near as powerful is a bowl of still ultra clean water with some flowers in, if you want. The water must be kept very clean though otherwise it will cause you many problems. I am not that keen on recommending using a bowl because they can get dirty especially if you live in a hot country and can cause many problems, so please be careful if you do not use the salt cure. In the northwest place some real quartz crystal or objects that are made from an earth material like ceramic, this will enhance wealth. The most important cure and crucial in 2011 is to place in the northwest of your home or business a square piece of slate measuring between 101 – 106mm in size along with one Chinese coin in the centre (try and make sure it comes from a good dynasty if you can) with two pieces of quartz crystals, it will never be as powerful as the one we sell, as you cannot create the talismans needed in 2011 and ones we have had engraved onto the slate, although do not concern yourself with this. Take a look at our annual cures kit and be as imaginative as possible in creating your own kit. If you look at all the information below you will find more alternatives for all the compass sectors without having to buy anything. So what is flying star (Xuan Kong)? Flying star (Xuan Kong) Feng Shui is the most powerful form that most professional Practitioners use; it has absolutely nothing to do with astrology. It is an analysis of the five elements, land formations and star combinations that occupy your building. Each Chinese New Year these annual stars change, bringing good and bad energy. Every year and month we give free accurate information on how you can suppress or enhance the sectors of your home or office. Every building throughout the world will have these changing annual stars and you will need to take into account their ability to cause harm ranging from, sickness, wealth problems, legal problems, gossip, relationship problems and just overall bad luck and of course their ability to give auspicious good luck in wealth, health, romance, education and overall good well being. Unless a good star is activated it is of no benefit to you so follow our advice carefully. Generated with our Professional Feng Shui software. This chart below does not just focus on annual and monthly stars but also your fixed stars that are hundreds of times more powerful. 2011 is the 4708th year of the Chinese calendar. The first day of the Hsia (solar) calendar is February 4th 2011, this is the day you would place your Feng Shui cures and enhancers. Chinese New Year falls on February 3rd 2012 (Lunar calendar). This is the date you celebrate the Chinese New Year with Ang Pow, fireworks Talismans etc and not the date you use to place cures and enhancers in Feng Shui. For more details on 2011 Chinese New year click here. Firstly, you need a floor plan of your home or office. This can be hand drawn but it should be more or less to scale but don’t worry if it is not, it will give you a good idea either way. Define all the interior walls that indicate the different rooms. 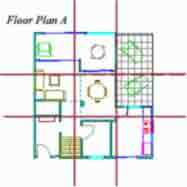 You can actually do your own floor plan within our Feng Shui software which makes it very easy. Secondly, you need to divide your floor plan into 9 grids or wedges in proportion as shown below. Next, you need to know the compass direction of your home or office. If you need help taking compass readings please visit this page. Once you have your compass readings; you will know which wall is in which direction and you can then overlay the year’s Lo Shu grid (annual stars) according to the eight magnetic directions. So in 2011 you will see from below that the #5 star falls into the east area for this home which is a bedroom and this will cause many problems if you do not place any cures. The chart below is for a house facing 181 degrees south 2 (Wu) built in 1999. This chart below was created with our Feng Shui software. The top left number is called the mountain star and affects health and well being, the top right number is called the facing star which affects wealth, and the middle number is called the period number and comes from the year the home was built. The bottom right number is the 2011 flying star. At a glance you can see where all the annual stars are along with mountain and facing etc and the reason why the software has become the industry standard in Feng Shui. The chart below is actually a very special chart called a “combination of ten with sitting” and requires careful analysis and the software explains in great details of how to get the best of every home of any age in any part of the world facing any direction. This is why I do not want to know any personal details on a client that I consult for, as these numbers (along with land formations around the home) tell me everything about health, wealth, career and every part of their life. The Three Killings – is a direct translation from the Chinese ‘San Sha’. This yearly affliction is mainly in the west (232.5º to 307.5º). It is imperative that you do not undertake any form of noisy renovations or re-decorative work in the north part of your house or office between February 4th 2011 and February 3rd 2012. Nor should you disturb the ground by digging holes, building foundations or conduct any maintenance work with any noisy equipment in this area inside or outside your property or garden. Once disturbed, this affliction will bring about three types of misfortunes – financial loss, sickness and arguments. This is the worst out of all the annual afflictions and in our home and business we take this very seriously as in our 31 years experience with Feng Shui we have seen some pretty nasty events from this energy when disturbed. Apart from not disturbing its ground, there are two other rules you should follow regarding the Three Killings. Firstly, if you are moving your desk around this year, never sit with your back to this direction (west). Secondly, it is better to face (west) this direction, especially if this is one of your four favourable personal directions. If your front door faces the west in 2011, place a pair of Fu Dogs just inside the house looking outwards as protective guardians for the year. You must also place a golden coloured Pi Yao in the west looking towards the east, this cure is so important in 2011. If you have to carry out work or emergency repairs in the west place a six hollow metal rod wind chime between the building and where the work is being carried out and ideally you should contact a professional Feng Shui Practitioner to select an auspicious date to start the work or you can use our Tong Shu software. Tai Sui (The Grand Duke of Jupiter) resides between 82.5º – 97.5º east. Do not take this affliction lightly. Do not disturb the ground in the east at all costs. East facing properties with front doors to the east must be careful not to allow the doors to slam and do not renovate or dig in this part for 2011. With the very inauspicious #5 Lian Zhen star also visiting the east palace in 2011 you have earth meeting wood which is a destructive combination and can cause bad luck and health problems and needs very specific cures and of course when you combine all this destructive energy with the even more destructive Tai Su (Grand Duke) you need the best cure available in the NE in 2011. You need a special cure – These come standard with all our 2011 cures and enhancers kits. Sui Po year breaker occupies the division directly opposite Tai Sui Grand Duke, which for 2011 is west (262.5 – 277.5). You should treat this area with the same respect as the other annual afflictions with no groundbreaking work, renovations or any noisy activities. If disturbed this area can and normally will cause immediate health problems especially for the elderly so please be very careful. If you have to carry out work or emergency repairs in the west place a six hollow metal rod wind chime between the building and where the work is being carried out and ideally you should contact a professional Practitioner to select an auspicious date to start the work. The annual five yellow has flown to the east this year and because the east is associated with wood energy this is not good and the reason why so many cures are needed in 2011. It is highly recommended not to disturb its position here with noisy activities, renovations or maintenance work. Homes with gardens or driveways in the east of the property should avoid disturbing the ground with major digging or building work. When disturbed, the Five Yellow can bring disaster, sickness, lawsuit and major loss of wealth. Please do not start worrying if your bedroom or office are located in the east, just start preparing to place your 2011 cures and enhancers kit to ensure a trouble free year, and of course make sure you sign up for our free monthly newsletter so you are kept up to date with the monthly flying stars giving you even more control of your destiny. 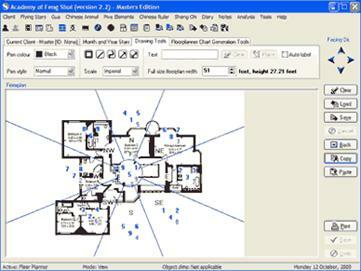 To give you even better control use our advanced Feng Shui 2011 software as this gives advanced analysis of every home or office facing any direction in any part of the world, I know I keep recommending this software but there is really nothing like it in the world. How far do we take the advice we give? My kitchen door falls in the south and we will be using our southwest door to enter and leave the home to get to our rear and side gardens in 2011, it will be a little inconvenient for us but it really does make a big difference and this year we need as much wind on our back as we can gather. We will also be placing all the 2011 cures in the south to help dissipate the negative energy that is here for the year. Am I concerned about the south this year? Not at all, having good Feng Shui is actually being aware of potential dangers and making allowances and placing cures, you can and will avoid many problems. Last year in 2010 we had the same problems in the northeast and we sailed through with no problem at all. If you are moving furniture around this year, especially your work desk, it is vital that you must never sit facing this 15º sector (east). If you confront Tai Sui, you will experience defeat; demotion, loss and any venture will be met with obstacles. Instead, sit with your back to the east and he will support you. Avoidance is the best cure. The traditional Chinese method is to place a Pi Yao or dragon headed tortoise in the west sector of your home or office facing east to appease Tai Sui. Use a compass and take the reading from the middle of the home to place the Pi Yao accurately to face the 15º radius east. If you have to carry out work or emergency repairs in the east place a six hollow metal rod wind chime between the building and where the work is being carried out and ideally you should contact a professional Feng Shui Practitioner to select an auspicious date to start the work. How far do we take this no digging or no noisy equipment? What if your garden is in the east, west or south? Does this mean no cutting the lawn or cutting back the trees with a noisy hedge trimmer in 2011? Of course you have to do these jobs and if you cannot avoid building work or digging, use the following rules to reduce any harm that may result. In 2008 we had to replace our large driveway that fell in the north, northwest and northeast and whilst some of these areas were affected 2008 was the best year to do the work and if we left it until 2010 it would have caused us many problems, we employed extra builders (6 in total) to ensure the work was done over 6 days as even the monthly stars can have an influence. With placing all the cures in 2008 and also placing a six rod wind chime in the NW we had no problems at all. Place a six-rod metal wind chime between your house and building work whilst the work is being done. Start trimming or mowing from a different corner of the garden. Let us say your garden is in the east of the property. You should remember to start your garden work from the northwest or northeast corner as this carries an auspicious energy in 2011. The simple thing to remember is AVOID doing heavy work here and no digging or breaking ground, I have seen too many times some nasty repercussions from disturbing these afflictions in a year. The analysis of the annual flying stars can only be conducted from a general point of view offering indications as to the influences of the stars in the respective palaces for the year. How each sector affects the wealth and health aspects of the residents depends greatly on the quality and combination of the ‘facing’ and ‘sitting’ stars of the property’s natal chart. If you have had a consultation by Master Michael he will be able to advise you better for 2011 or if you have a copy of our Feng Shui software it will show you where all your wealth areas are. Please make sure you read all the report below as you will need to make the most of 2011, it may appear that 2011 will not be a great year but believe me just following this advice can make 2011 a good year. The northwest and northeast is very auspicious and if you placed a lottery ticket in the northwest or northeast you will greatly increase your chances. The lottery ticket below was created with an individual’s own unique lottery numbers taken from their birth date and just by placing it in the west can increase the chances of a win tremendously. Kan 1 White In 2011, Kan (Tang Lang) trigram is in the northeast. Kan #1 is a water element. In the physical body it is the ear. Internal organ it is the kidneys and also blood. It also affects career and luck. In 2011 it is a timely star. Kan water #1 (tang Lang) has flown into the northeast location for 2011, the northeast is an earth energy and from a five element aspect this is a destructive association with earth controlling water and if the correct cures and enhancers are not placed this can cause you problems. If you activate the northeast correctly in 2011 it can bring in new opportunities, gains in financial investments, academic achievements and scholarly pursuits and very good for relationships at home and work. The intensity of these attributes will differ in varying degrees according to the influence of the visiting monthly stars, so it is important to place your annual cures and enhancers in the northeast. Whilst the energy in the northeast is very good in 2011 you will still need special cures to enhance and protect your wealth and business, especially for the youngest male as the northeast is a Ken Trigram which can affect the limbs and joints, caution and cures are needed for those who are older or in poor health. Check outside the northeast of your home or office for any poison arrows pointing towards it; if there are, hang a ba gua mirror outside pointing towards the offending object. Relationships and romance can be very good in these areas once activated. If the northeast is a bedroom, office, study lounge or other important room, you should place a wealth protection Xiu Lung Wealth & romance charm which is to protect and activate wealth in 2011, this cure is very important in 2011 and must also be combined with a pair of Elephants with trunks raised. These are very traditional and authentic enhancers for the #1 flying star that occupies the northeast palace in 2011. The Dragon represent wealth and protection and catalyst to enhance further along with three beautiful i-ching coins giving ultimate protection and enhancement of wealth making this the perfect enhancer and also protector of wealth, business and career. You need this cure in 2011 also to weaken the undesirable influences of the monthly stars #2 and #5 which will visit in February, August and November 2011 and the reason why they should be placed. These powerful cures and enhancers are very important in 2011 and comes standard in our 2011 cures and enhancers kit. Blues, black, grey or charcoal would be a good colour scheme for a room in the northeast in 2011. You can introduce these colours with bedding, throw-over’s, lampshades, pillow covers, doormats etc. If you have a bed located in this area, remember to place a set of six coins in a row tied with red ribbon beside the bed. Avoid fire colours like red, pink, purple, orange, lilac etc in the northeast and also avoid candles at all costs. Businesses that deal with money like a bank or share dealers and even casinos or betting shops can expect better times if they have an office or main door in the northeast although they must hang a Xiu Lung cure in the northeast to get the full benefit from this auspicious area in 2011. Try to place family photos here along with family symbolic objects like a statue/painting of a family etc. To activate relationships you can place some symbolic objects like Mandarin ducks, hugging couples or anything that is in pair like double hearts etc. This area is also very good for study or artistic pursuits so try and spend time in this area or get your children to study here. When you have poison arrows outside it affects romance, career, travel, creative, academic and artistic talents, wisdom and intelligence as well as self-development and best to place a ba gua mirror outside. This combination in 2011 Xin Mao is a manifestation area and it is good to place an image that represents everything you want to achieve in life, an example to some would be a picture of a beautiful home that you desire, a male or female that you admire, a car like a Ferrari or Mini, the number of children you would like, Create a dream board with all that you desire pinned to it or draw the image or you can even download some images from www.google.com this really is a very powerful way of manifesting your dreams and it really does work, remember to place the image in this area this year. The best months for the northeast are March, May, July, September and December. Take extra care in the months of February, June, August, October and November and check back here to further analyse these months. You can also place a moving (yang) water feature in the northeast in 2011 but only inside a property, water must not be placed outside in 2011 unless you have had a Feng Shui Master advise you. To get a better idea of whether to use water for wealth it is a good idea to construct a flying star chart of your home and then decide, or if you want the easy way look at our new 2011 Feng Shui software as this not only calculates it also advises on placement for wealth, health, relationships and every other aspect. A set of six coins in a row tied with red ribbon is advisable for a bedroom or other important room that you spend a lot of time in that falls into the northeast along with all shades of blue, black, grey or charcoal colours. This is especially so if you are not in good health and if you cannot buy six coins in a row tied with red ribbon place a heavy round object close to your bed but avoid candles or colours red, pink, orange, purple or any fire colours. Place a Xiu Lung Wealth & romance in the northeast. this is so important in 2011 and if you cannot buy one, use a metal Dragon and three Chinese i-ching coins in a row but do not attempt to tie red ribbon on them as they must be tied in a very special order to obtain the most influential power. Go to our 2011 cures kit for details to see what they look like. Metal objects are good to place in the northeast in 2011. If the youngest male is weak and/or unhealthy be careful if extending or refurbishing the northeast of your home or office in 2011 as it could cause them problems. Place creative enhancements like displaying an abacus, calligraphy set, artist tools like canvas, brushes etc. Naturally not as powerful but round metal shapes are an alternative to using Feng Shui items but avoid sharp or menacing looking metal objects. The south in 2011 is not a nice area at all but with the placement of the cures and enhancers we can actually receive a little benefit from the #2 star. This is because the #2 earth star visits the #9 purple Yon Bi star (south) which is associated with wealth and good fortune. The element relationship between these two stars is constructive although the #2 is very inauspicious and must have cures placed otherwise it will cause many problems in 2011 as it is being enhanced and strengthened by the fire energy of the south. If your bedroom, office, lounge, main door or other important room is located in the south and you are unable to move out please read this section carefully. If the south of your home or office is a bathroom, utility room, guest bedroom or other less important room do not panic this is great news for you, and for my home this is my office and I know once I have placed my cures and enhancers it should not cause us any problems. Last year 2010 the south was heavily afflicted with the #3 star and with our annual cures in place it caused no problems at all and we received so many testimonials from clients who said they had no problems either, this is not just using our annual cures kit it is also just following the basic advice in this report. We have the #2 star visiting the south #9 palace and when we see 2 & 9 together the potential of bad luck is very strong so please make sure you follow the advice in this report. This star affects the health of those under its influence bringing with it wealth problems, sickness, disease, bad luck, stress, stomach and digestive problems, bloated feeling, gossip, back stabbing, family disharmony and distress. This is especially so for people who are a Gua #1, 3 or 4. Check on this page if you do not know your Gua number eightmansions.htm or if you have our software you can calculate your Gua and best directions. The 2 Black in Period 8 is an untimely star and hence its influence will be of a negative nature. You must place a salt water cure, six Chinese coins tied with red ribbon, metal singing bowl and also place more round metal decorative objects (provided they are not menacing looking, round shape metal is good) to dissipate its negative influence in the south corner of your home or room. Avoid triangular or sharp shapes in this area. A very powerful and commanding and much needed cure in 2011 is a wealth, protection & romance amulet (Lung Huang amulet), this is all the wealth enhancers you can think of in one powerful charm enhancer combined with wealth protection which is so important in 2011 especially for those with an important room in the south. Make sure there are no red items, bright lights or burning candles in this area. Do not worry if you have these colours already just introduce colours like white, silver, gold or copper in the way of a floor mat, cushions, throws, tablecloth or such like. If you have a main door that falls in the south in 2011 you would be advised to hang a Ba Gua mirror outside to deflect the negative energy. Whilst this cure is not placed in the south but you must have a Gui Yao cure and as I said not actually placed in the south but the northwest as it works in harmony between the two Trigrams of south (Li) and northwest (chien) and quite a complex cure, look at our 2011 cures and enhancers page for more details. Ladies expecting should try and avoid using a bedroom if it is located in the south especially middle daughters. If there is no choice, try to use a good (southwest, northwest or northeast) sector of the room and implement the necessary cures. You should also sleep with your crown of your head in your personal Tien Yi direction. Males who spend a lot of time in the south should be careful of what they eat in 2011 and a good time to think about a lifestyle change. If you cannot avoid using this room or this corner of the room, place a set of six coins in a row tied with red ribbon beside your bed. The coins give elemental support to the south and also symbolises good health and dissipates the negative energy of the #2 star. Because the south is associated with the middle daughter, the home or business can be affected so make sure if she sleeps, works or spends a lot of time in the south all cures are placed. Be very careful in February, March, September, November and December 2011 as the south is at its worst then. More importantly, do not decorate the south room with red fire colours or triangle shape items and most important avoid burning candles or leaving bright fiery coloured lights on for too long during the year. A statue of Tsai Shen Yeh (God of wealth) in a gold colour is very effective at not only reducing the bad earth but by also protecting your wealth for the year. Make sure there are no red items, bright lights or burning candles in this area. Do not worry if you have these colours already just introduce colours like white, silver, gold or copper in the way of a floor mat, cushions, throws, tablecloth or such like. Good news for those who are Gua 9 or 2 as this combination whilst on the whole is very bad it can be good for them in wealth and career, you will still need to place the recommended cures as detailed here but the effects of the #2 black will not be bad for you and can even give you positive results. Do not activate this area with loud noises, keep quiet and avoid building work or refurbishment although it is not too bad. Do not use the fire element or colours red, pink or purple. Keep doors closed. Place a Wu Lou, salt water cure, gold Toad, wealth ingot and six coins here along with metal ornaments. Use colours white, silver, gold or copper. Take extra care in the months of February, March, September, November and December. Hang six Chinese coins tied in red ribbon. Place a salt water cure. Try and keep the south of your home as quiet as possible and avoid building work or renovations in 2011. You can use any metal ornament as long as it is not sharp or aggressive looking, and believe it or not a good cure is a round metal dog bowl or weight lifters weights. A brass wealth ingot is good for protecting wealth. Place a gold coloured three legged Toad with an i-ching coin underneath. Place a Wu Lou and/or other metal ornaments to dissipate the negative earth. A metal singing bowl is very good as is a stainless steel Dog bowl. Avoid using red colour in this room and refrain from displaying triangle shapes or fiery pictures. Avoid candles or bright lights at all costs. Check or upgrade smoke alarms and other fire prevention methods. Place a Ba Gua mirror in the south outside only and use a wealth protection Ba Gua mirror. Naturally not as powerful but round metal shapes are an alternative to six Chinese coins tied with red ribbon. Chen 3 Jade In 2011, the sound of Lu Chun #3 Jade can be heard in the north palace. With the unpredictable #3 star visiting the north in 2011 you must be aware of potential theft, arguments, disputes, hot tempers, loss of wealth and legal problems especially if you have a main door or important room in the north. Those of you with a middle son also need to take note but do not start worrying, with the cures and enhancers in place you will avoid many problems. Try and keep the north of your home as quiet as possible and avoid building work or renovations in 2011. When left unattended it can also affect the feet, lungs, convulsions, liver, bladder, limbs and hysteria. It also affects the middle son and overall if the ground is lower, busy road or even an open area of land outside this area. You should be aware of possible theft, arguments, disputes, hot tempers, wealth and legal problems especially if you have a main door or important room in this area and if this is so you should place a Ba Gua mirror outside. To remedy its effects use red decorative objects, candles, lamps and lights. A nice simple cure is a red, pink, purple, burgundy (fire colour) floor or door mat or a table lamp with a red shade. Do not use metal (metal colour is OK) to control this energy for you will aggravate it, restricting the beneficial influence brought by auspicious monthly stars in certain months and magnify its negative influence. Do not have a water feature inside here unless a professional Feng Shui Practitioner has advised you. Some books or websites you may have read will tell you the #3 wood star can be a good star in period 8 (2004 – 2024), in our opinion it is still an unpredictable star and you should not try and activate it unless you are qualified to do so or you have used our Feng Shui software. It will become more usable towards the mid to later part of the 20-year period 8 cycle. I have seen websites and books even recommending placing water here for the annual #3 star, do this and you could invite arguments, wealth problems, divorce and legal problems, without taking into account your land formations, period, mountain and water stars, please be very careful. I am not saying these people are wrong to recommend placing water; I am saying that you should take into account the bigger picture before using such a powerful enhancer like water on a known unbalanced star at this particular time in the twenty year cycle. I have used water many times on this star with good results but have also used water and got less desired results, it really depends on other occupying stars, land formations and also the Gua Trigram of the occupants, please be very careful of this unpredictable flying star. Ensure that documents signed during the year are checked through thoroughly before committing. The influence of a Chen 3 in Period 8 denotes possible arguments, disagreement, back stabbing and in extreme cases, this can result in lawsuits, either as a petitioner or a defendant and also causes loss of wealth. Either case there will be a loss of time, energy and wealth, so please be careful during 2011 especially if you have a main door in the north and if you can, try and use another door to enter and leave. You should also hang a Ba Gua mirror with a Chinese i-ching coin on the rear for added protection in 2011. The reason why it is very bad in 2011 is because when the #3 star flies into the north Kan palace which is a water element, wood and water elements are in harmony which is good but there are negatives with this and important that you use annual cures to avoid potential legal issues and problems with relationships. An imperative cure in 2011 to protect against legal issues, gossip and loss of wealth is a set of Three Immortals (Fuk, Luk & Sau). With the fire #3 star visiting the inherent water energy of the north in 2011 it is not a good combination at all and special cures are needed as the water of the north is feeding the #3 wood star. When placed in a room, the three immortals cleanse the home of negative influences, including arguments, marital problems and illness. A must for anyone looking to strengthen or enhance a relationship with their partner or children. This cure and enhancer is so important in 2011 as it is an effective cure for the #3 star. This cure is imperative to be placed in 2011 to further protect and enhance relationships, This combination of flying stars can cause many arguments, legal problems and disputes and can lead to loss of wealth and because my home is north facing this is one cure I will be definitely be using upstairs and down just in case. It is a cure we have used for many years and would not do without. For this reason we have included this standard in all of our 2011 cures and enhancers kit. Place a light in the north if you have a choice, a lamp with a wooden stand and a peach/red shade is better. Do not hang wind chimes of any material in the north in 2011, especially metal wind chimes as it will worsen matters. If you have been advised by a professional Practitioner this is fine. During hot summer months, make sure the fan is not located in the north or north of a room. Take extra security measures for the whole home or business during 2011 and check smoke alarms. Check through everything before signing documents if office is in the north. Try and keep this area quiet and do not disturb with loud noises. Try not to let children or noisy animals play in the north. Beware of backstabbing, as sometimes it is unseen and can be from someone you thought you knew quite well. Invest in a good compass and avoid placing machines like a TV, fan, fax machine, computer or any machines that creates noise or vibration in the north of any room. Most important is not to disturb the ground inside or out. Sun 4 Green Sun 4 Green Wen Qu romance and literacy star gracefully enters the southwest of the Lo Shu in 2011. The Sun wood 4 occupies the earthy southwest palace in 2011 and this is a conditional star but is auspicious in Period 8 (2004–2024). It governs romance, career, travel, creative, academic and artistic talents, wisdom and intelligence as well as self-development. With the wood of the #4 star combined with the earth energy of the #2 star this is a conflicting relationship and we can expect a fiery energy although if activated correctly with the correct enhancers we can receive some peach blossom energy for here which is lovely for relationships and career. Whilst this star is very auspicious, without cures this #4 star can bring both wanted and unwanted romantic opportunities to the household if the cures are not put in place as it is in conflict this year with the earth energy of the southwest. Having a door in the southwest with the cures can bring in new opportunities and lots of travel and a perfect cure for a company that deals with travel or printing. Do not use fire or metal in this area or colours white, silver. Do not worry if you have these colours already, just introduce colours blue or black in the way of a floor mat, cushions, tablecloth or such like. Try and keep the southwest clear and open inside and out and create an area of beauty with maybe some flowers, the more lush and attractive the SW is in 2011 the more it will activate this lovely romance star and remember you can do this inside or out. As in every star, the 4 Green has a positive and negative aspect to its nature. Although a favourable annual star in 2011, it can also be affected by the presence of an unfavourable monthly star and when it does, it denotes betrayal, heartbreaks, scandals and humiliation in affairs of the heart. The affected months are May, September and November. So keep an eye on our monthly updates. Treat this area as your relationship and creativity area for 2011 it can be very good for you. If the Southwest is an important area like a main door, lounge bedroom etc please keep it is clean and clutter free as possible, believe me it makes so much difference. An important enhancer to use in 2011 is a Tao Hua peach blossom romance, wealth & wish enhancer. This is considered one of the best kept secrets in Feng Shui, there are not many Feng Shui masters who even know how to create this very special cure and it is not just about the content but the thought form embedded into the scroll and quartz crystal making this not only an essential cure in 2011 in the southwest but anywhere you have an auspicious #4 star in your natal chart. With eight mansions Feng Shui these are also perfect for the southeast for wealth luck. This very special talisman printed onto the most beautiful scroll we have ever come across, this cure and enhancer is a much needed scroll of all your wishes, a superb enhancer not just for romance but also for career, wealth and business. The whole cure then needs to have a thought form charm placed inside and positively empowered with sheng chi energy (this is already applied). I really do love this cure and enhancer especially as it is a traditional and little known enhancer to only a few Feng Shui Masters. This cure and enhancer when used is also a manifestation enhancer so it is good to also write your wishes on the scroll but make sure they are written so nobody else can see them. If you want to further enhance this wonderful star you must also use a very special Shuo Fu enhancer which is a very special talisman printed and displayed in the southwest between 4th February 2011 to 3rd February 2012 along with a scroll of all your wishes and a superb enhancer not just for romance but also for career, wealth and business. Last year in 2010 we used a stone heart but sadly this cannot be used this year as the talisman is different. We have included the 2011 talisman standard in our 2011 cures and enhancers kit as it is very important to place for relationships and career. This powerful enhancer is a very little known Shou Fu talisman, the whole cure then needs to have a thought form charm placed inside and positively empowered with sheng chi energy (this is already applied to the one’s that we sell) and the reason why we used a wooden frame as wood is a powerful vessel for charms. I really do love this cure and enhancer especially as it is a traditional and little known enhancer to only a few Feng Shui masters. This cure and enhancer when used is also a manifestation enhancer so it is good to place an image close to the image that represents everything you want to achieve in life, an example to some would be a picture of a beautiful home that you desire, a man or female that you may admire, a car like a Ferrari or Mini, a mentor, the number of children you would like, I think you are getting the picture by now, just create a dream board with all that you desire pinned to it or draw the image or you can even download some images from www.google.com this really is a very powerful way of manifesting your dreams and it really does work, remember to place the image by the sheng chi enhancer and if you want a short cut to create it consider using our new Feng Shi Academy 3 software which incorporates this type of manifestation. Couples with a bedroom in this location can also enjoy good relationships. There may also be a chance of producing intelligent children. If you want to enhance this further place a statue of Kwan Yin in the southwest or south part of your bedroom. Another traditional way to enhance fertility is to display peanuts in shells (groundnuts) or any seed products like black or red melon seeds (Gua zi). In Mandarin, peanuts are called ‘hua-sheng’ and for the Chinese this word is onomatopoeic in that the sound of it means the birth of many children. You should display them anywhere in the bedroom and of course be careful if anyone in the home suffers with nut allergies. Summary for year: With the above cures and enhancers in place you should reap the rewards from this area especially if you are looking to enhance relationships or creativity; this area is very good for writers, artists, students and anyone that is related to the travel, crystal, alternative, health industry. Avoid fire element and colours red, pink or purple. Good colours are blue, grey or black. If you wish to enhance areas of creativity and academic achievements, place or hang moving objects to enhance the Ch’i of this sector, do not use wind chimes. Keep area semi active with windows occasionally open. Do not use metal items here especially wind chimes from the 2011 cures. Spend time in the southwest if you want to enhance romance, creativity or academic pursuits. Use blue in your décor if this is your office or bedroom. Make sure you remove all the metal cures like the salt cures and six coins in a row from the 2010 cures and enhancers kit from the southwest as this will cause many relationship problems if left. Avoid displaying metal objects here especially large heavy ornaments. Fresh flowers or small pots of green leafy or flowering plants can be displayed in this spot of the house to lift the qi. Blue or green flowers are a good choice. If you have mandarin Ducks this is a good area to have them and any other symbols of romance like hugging couples etc. Place photos of loved ones or images of love to enhance relationships or attract new love. This can be photos, paintings or statues and make sure there is always a pair in the image. The 5 Yellow In 2011, the annual 5 Yellow Lian Zhen star of tragedy is located in the east palace. The East is the very worst area in 2011 and you must be aware of potential theft, arguments, disputes, hot tempers, loss of wealth and legal problems especially if you have a main door or important room in the east. Females also need to take note but do not start worrying, with the cures and enhancers in place you will avoid many problems. For those of you that know me you will know I like to try and give bad news as optimistically as I can and firmly believe the power of the mind is as powerful as Feng Shui and providing you give the correct software to the brain you can turn bad into good. We have proved that many years so please be positive, you can avoid many problems and read this information a few times over so you are prepared for 2011. In 2011 we have the evil #5 star visiting the east (Chen #3) where we see earth meeting wood and the two elements are in clash and need cures otherwise it will cause bad luck and wealth losses. The advice I have given over the last twelve years always comes from the heart and I try to make sure that those who do not use or cannot afford traditional Chinese cures like a salt water cure or six Chinese coins tied together with ribbon that there are always alternatives you can safely use. Use plenty of good quality metal in the east this year and make sure you cleanse all your cures from previous years. Good shapes are items made from metal that are round, even a stainless steel dog bowl is a good cure. Do not disturb its position here with noisy activities, renovations or maintenance work. Homes with gardens to this corner of the property should avoid disturbing the ground with major digging or building work in the east in 2011. The 5 Yellow also called ‘Wu Huang or Lian Zhen)’ in Chinese, is one of the bad annual afflictions. It is an extremely unstable star. It has no gender and no trigram and is highly treacherous when disturbed. When disturbed, its malicious influence brings tragedy, sickness, lawsuits and major loss of wealth. Do be careful with it. Stillness together with metal cures can keep its negative influences at bay and you must avoid using fire energy like reds and candles in the east in 2011. As we have so many negative afflictions in the east with the annual #5 yellow along with Tai Sui Grand Duke you must place a salt water cure, six rod wind chime, Wu Lou and six Chinese coins tied with red ribbon and also place more metal decorative objects (provided they are not menacing looking, round shape metal is good) to dissipate its negative influence. Even a pendulum chiming clock in the east is very good and whilst this contradicts what I said about keeping the area quiet, the chiming sound of the clock is actually as important as the moving metal of the pendulum. In the old days they would have had someone striking a gong every 15 to 60 minutes. All these cures are essential and why we have included three of them as standard in all our 2011 cures and enhancers kit. An alternative cure is place some very heavy good quality round metal objects in the east in 2011, I do not give this advice so you have to buy from us, most of these cures and enhancers I recommend you can put together yourself. As the energy is very bad in the east in 2011 you must place a synergy cure and enhancer called a Shuang Yan Yu Fu, this is a pair of Buddha’s both with a thought form charm and one placed in the east and the other in the west, these work in harmony with each other and offer much protection and also able to turn good into bad. The Shuang Yan Yu Fu Buddha pair is a powerful and little known cure and talisman that work in synergy with each other at a very high level and communicate through quartz crystals and offer crucial protection for wealth, business, career and relationships in 2011. One of the Buddha’s holds a gold protection talisman in one hand and a Ru Yi in the other this Buddha is said to be one of the most powerful enhancers for wealth and career and must be placed in the west in 2011. The other Buddha, which should be placed in the west holds two gold ingots (Yuen Bao) in his hand and is said to be one of the most powerful enhancers and protectors for wealth generation and wealth protection especially when related to legal problems. You should not use a blue coloured Buddha in the east in 2011 and the reason why we had these sourced in a fire and gold colour to help dissipate the negative energy of the #5 star and dissipating the #3 wood star making it a perfect cure and enhancer in 2011. Each Buddha has a section at the bottom where they house a Falcon’s Eye crystal which is a fine-grained quartz crystal; it is soft and silky in appearance and comes from the Tigers Eye family. Falcon’s eye is a crystal stone of protection and is traditionally used as a talisman cure against ill wishes, bad luck and curses. It is said to enhance our own personal power, release blocked creativity, and to bring good luck, prosperity, wealth and success and the reason why we are using it in the west as this has a mixed energy of good and bad. Another cure in 2011 and because the annual afflictions are so bad, is to place a gold coloured Pi Yao in the west facing towards the east. This cure is one of the most protective cures you can use and also a powerful enhancer but also for protection against legal problems, arguments, disputes and loss of wealth. You MUST NEVER disturb the east inside or out with lots of drilling or knocking activities. So please be careful when you hang your metal six rod wind chime to control its influence in the east sector of your house. You should also place a Ba Gua mirror especially if you have a main door here. You must not place red objects, bright lights, candles or red coloured furnishing in the east. Do not worry if you have these colours already just introduce colours white, silver, gold or copper in the way of a floor mat, cushions, throws, tablecloth or such like. You can also use dark blue or black if you prefer. If your bathroom, cloakroom, en-suite, guest room or a large cupboard is located here, this is good for you this year, because these areas are not used much and therefore the negative power is not activated, I would still place the cures though regardless of what room is located in the east. It helps if you can do a natal chart of all the other flying stars in your home as there is much more you can do to protect yourself. If you know how to do a flying star chart it is worth doing or maybe consider buying our specialist Feng Shui 2011 software, it is worth every penny and can save you from many disasters, you will not find any better than this software as it not just tells you where the problems are, it tells you how to correct them or enhance the good areas, it is the industry standard in Feng Shui and used by thousands from all over the world. Please remember that Tai Sui (The Grand Duke of Jupiter) resides in the east in 2011. It is vital that you must never sit facing this sector. If you confront him, you will experience defeat, demotion, loss and obstacles. Instead, sit with your back to this sector and he will support you. Summary: Do not activate the east with loud noises, keep area quiet and avoid at all costs building work or refurbishment. Do not use the fire element or colours red, pink or purple. Keep doors closed. Place a six-rod wind chime, Wu Lou, salt water cure and six coins here along with metal ornaments. Use colours white, silver, gold or copper. I will repeat this part, as it is so important, please keep the east of your home or office as quiet as possible, avoid redecoration and building work in 2011 in the east part of your home or office and when you hang your wind chime try not to make so much noise with hammers etc, don’t worry about the noise the wind chime makes, this is all part of the cure, so when it is in place try and remember to knock it a few times a day. Take extra care in the months of March, May, June and December. Every year we put together a powerful cures and enhancers kit and this year it is even better and more powerful than ever and don’t just take our word though; click here to read hundreds of testimonials that we have received over eleven years from every corner of the world. Please remember that Tai Sui Grand Duke resides between 82.5º – 97.5º east in 2011. It is vital that you must not disturb this 15º sector in 2011. Avoid playing loud music in the east of the home or room. Do not decorate your room with red or earth colours this year. Grey, blue or white beddings and curtains are good colours to use temporarily. Place a salt water cure in the east of the building along with six Chinese coins tied in a row with red ribbon and six hollow metal rod wind chime. The six coins in row and salt cure are a crucial cure to place in 2011, please do not forget it. Place a set of six coins in a row tied with red ribbon in the east corner of the room if this is your bedroom. Metal objects such as six Chinese metal coins tied in a red ribbon and/or a brass Dragon can be placed in this corner too. Do not to use red dragons. Do not place red objects, burning candles or triangular shaped furnishing in this sector. Most of all, avoid disturbing the east at all costs. Any form of renovations that need to be done, plan it for another year. It is worth keeping this in mind. A Pi Yao in a gold colour is very effective at not only reducing the bad earth but by also protecting your wealth for the year in the east. Replace or at the very least cleanse your Ba Gua mirror in the east especially if your door is located door here. If you have a main door in the east make sure you oil the hinges and try not to let it bang shut and oil squeaky hinges. If you use a fan or other machines that creates noise or vibration try and avoid placing it in the east part of a room, get yourself a good compass. Ch’ien 6 White The star of Heaven Chien 6 White (Wu Qu) sits in the southeast palace in 2011. The 6 White Wu Qu is a sympathetic fortune star and as an annual star, its position in the southeast in 2011 it is very good for career, wealth, politicians, leaders and anyone involved in the jewellery business, those with a main door, office/study in the southeast will benefit greatly. This year this #6 star will bring more success for anyone with an office or main door in the southeast especially if activated correctly. Those who have main doors or offices in the southeast sector will enjoy excellent business and career success. However, whilst 6 White represents accomplishment, if the #6 annual star is located in a bedroom it can cause problems with the throat and/or legs and also problems with breathing especially for an eldest daughter although they are minor problem and nothing to worry about if you follow the advice here. If you do have a bedroom in the southeast place some blue, black, grey or charcoal cloth such as a rug or duvet covers to dissipate its energy. An important cure, enhancer and protector in the southeast in 2011 especially if you have a main door, bedroom, office or other important room is to place a 8 Coins tied in infinity Miao circle with wealth ingot, these are eight I-ching coins tied together with red ribbon, they are strung in a circle together with a wealth ingot offering perfection as an enhancer especially if placed in the southeast in 2011. These coins represent fame, fortune, wealth and success. This is a very traditional enhancer for the #6 Wu Qu star that occupies the southeast palace in 2011, the 8 coins represent totality and because the southeast represents the wood element this is why you use the eight coins as the number eight is earth based and represents wealth, combined with the #6 star, so a perfect element enhancer in the cycles. You also need this cure in the southeast in 2011 to weaken the undesirable influences of the monthly stars #2 and #5 which will visit in April, July and January and the reason why they should be placed in 2011. These are supplied in our 2011 cures and enhancers kit. To be safe I would use water colours, especially blue or black if this is a bedroom as for females it can cause mind problems. If this is a bedroom, try and face your Tien Yi or Yan Nien directions. If you have Mandarin ducks, this is where you should ideally place them. If you are a family, place family photos here along with family symbolic objects like a statue/painting of a family etc. Look outside your building to see if there are any poison arrows like corners of buildings pointing towards your building and if so you could try hanging a Ba Gua mirror to counteract the effects. You should be careful of the monthly #2 & #5 stars as this can create problems. Especially problems involving the head; you should use metal cures in these months such as six Chinese I Ching coins in a row or a brass singing bowl or similar. On the whole this is a nice area and even better if your main door or office is located here, keep area active with windows and doors open. Place some real quartz crystal here or the hanging faceted sphere type; these are very good for activating the wealth and business side of this nice star. Take extra care in the months of April, July and January. If this is your bedroom, shades of blue or black in your furnishing or décor may help with health. A blue painting (not water scene) may also do. Place a wish list in the southeast in 2011; these are very traditional and powerful cures. Real quartz crystal is very good in the southeast for 2011 as are faceted crystal spheres. Tui 7 Red The Lofty Wind of Tui (Po Jun) flies into the centre in 2011. The mischievous Po Jun #7 quarrelsome red star is a negative influence in Period 8. The trigram Tui is also known as ’Broken Soldier’ and because this star is imprisoned in the centre palace that has no gender or Trigram and this is why you need to be careful of deceit, fraud and disputes and the reason why the need for Feng Shui cures and enhancers are so strong in 2011. This is a fighting star which can cause problems if left alone especially as it has flown into the centre which is in conflict and when combined, it’s conflict negative nature denotes assault, deceit, violence and robbery although the good news is that the earth energy of the centre harmonises with the metal of the #7 star. This area is not good for writers, artist or children studying and especially so for females although cures can be placed to dissipate the negative influence so do not worry. The #7 Red indicates a high risk of burglary, deception, copyright theft, gossip and back stabbing especially in the months of March and December. Because the #7 broken solider is trapped in the centre the risk of burglary is higher in 2011, combined with the slow economy you should be looking to update security, smoke alarms and checking electrics. Please take this advice seriously as I have been doing this a long time and I know when this combination meets it can cause many problems. In 2002 we had a similar combination in our home, and where it was I had an old large aluminium sliding patio doors. The only door/window in the house that had not been replaced so I thought this was vulnerable for a break-in and whilst I never think negatively I am of course realistic, anyway we spent a few thousand pounds replacing the doors and improved security. It turned out the house was fine but in the same area outside I parked my car and this was broken into and around £1000.00 worth of sat nav, cameras, wallet etc were stolen, talk about “not seeing the wood for the trees, all I thought of was protecting my family so actually great news and superb Feng Shui that it was only the car. So please take my advice and have a good look at the security in your home checking windows, doors, sheds and of course make sure you lock your car, and keep all of your valuable items out of sight, ahem. A vital and much needed cure in 2011 is a Tian Guo Lung Enhancer, this early heaven ba gua with all eight trigrams along with the twelve celestial animals on the outer ring representing overall protection against wealth loss and fraud and on the reverse is a later heaven ba gua with a Dragon protector on the inside ring. This is a very traditional cure and enhancer for the #7 star and with the unique way the early and later heaven ba gua’s have been arranged to give balance to the yin and yang when the #7 star visits the central palace as the metal and earth of these two elements balance each other and this cure is protecting against theft, fraud, gossip, lies, legal problems and wealth loss. This essential cure represents wealth protection, fortune, wealth and success. I know I am repeating myself but please take extra security measures. Make sure doors and windows are fastened securely before leaving the house. Do not display valuable items on windowsills, which may attract the interests of passers-by. This is especially so in the north of your home as we have the #3 star visit and this can also cause these problems so check windows and doors in the north at the very least. In 2011 it pays to be wise and avoid taking too many risks for there may be unscrupulous people working against you. There are indications of misunderstandings, pressure and business rivalries that could also lead to losses especially if your Chinese animal is a Rooster. Keep the centre of your home quiet and doors and windows kept closed. Good colours are blue or black. Avoid earth and fire colours and quartz crystals. Be careful of people trying to deceive you, robbery, arguments and loss of wealth, always look at the very small print and be careful as this star normally causes problems with people you know and thought you could trust. You should also use more blue, grey, black or charcoal colours in your decoration. You can introduce the colour with cushions, rugs, bed covers or doormats. Do not use anything of fire element or colours red to control it as this may aggravate it. Avoid candles in the centre at all costs. Install or service/upgrade smoke alarms and security systems. Do not hang metal wind chimes here. Ken 8 White Zuo Fu This is the most auspicious governing flying star for the next thirteen years of the lower era of the sexagenarian cycle of the flying stars (Xuan Kong) system and is located in the northwest in 2011. Because we are in period 8 though this means the #8 star is dissipated as the northwest is a Chien metal trigram which will weaken the auspicious energy of the #8 star and this is why my prediction of a year similar to 2010 with slow economic growth in 2011 and possible high inflation. So be prepared although the second half of the 2011 should be much better and with using the annual cures the year will be fine. We predicted the recession with 100% accuracy three years ago and we can say that many of those who followed our advice and used our cures and enhancers kit came out fine in the end, so it is not all doom and gloom and in fact following this advice can create a good 2011, we in fact had our best year ever in 2010 whilst most companies suffered hard so be positive and read carefully as thousands of our clients also had exceptionally good years in 2010. The northwest is a very powerful wealth area and you should activate the facing #8 star with a moving water feature inside of your household. This is an excellent combination for people that are involved in real estate’s or jewellery business. If you have a 3-legged Toad (do not use a metal one though) this is where you would place him. Keep this area as busy as possible with noise and motion so music players and televisions are good here. You should also try to keep your windows and doors open as much as security and climate will allow you to do so. Good colours to use here are earth colours, yellow, brown or beige. This is an excellent place to have Amethyst crystal or other quartz crystal. You should try and store all your important financial papers here like stocks and shares, pensions and savings etc. A very good cure here is a wind chime that is made from real quartz crystal or anything that is made from the earth element like ceramic or terracotta. Outside enhancers are anything that moves with the wind like a whirligig. You should treat this area as your primary wealth area and if possible, store your important financial papers where this combination falls. This is an overall good combination but you should be aware of potential problems involving business or personal partners. A good enhancer for this combination is to place some real quartz crystal. If you have windows located in the area that this combination falls, you should try to leave them open as much as possible if security or climate will allow you to do so. If you work with symbols, quartz crystals, crystal balls or hanging faceted crystals are very good for this area. The #8 star also governs relationships so a nice romance enhancer is a pair of Mandarin Ducks and is an ideal place to place a 3-legged toad. Keep this area as clutter free as possible and keep it nice and bright with lots of open space. Most Feng Shui websites and books will say that this will cause severe problems with the #8 star falls into a northwest Chien palace but in my opinion we can make this very auspicious with certain powerful and little known cures and very special talismans that I will talk about shortly. Wealth, fame. Romance, prestige and distinction can be expected especially if you have an office or main door in the northwest, even if you do not we can still activate it. When activated correctly it brings good fortune and exciting times even with the conflict of elements. The most powerful and important cure and enhancer in 2011 is called a Master cure 2011 Gui Yao Master cure and an imperative cure and enhancer in 2011 and can only to be used in Xin Mao (yin metal Rabbit) year, the last time this powerful cure would have been used was in 1951. This cure is needed to enhance and protect in 2011 especially for the eldest male of a home or business. This cure is only known to a few specialist Feng Shui Masters and in the old days and even now in Asia you would need to employ a expert Feng Shui Master to call at your home or business and the Master would spend hours carving the secret inscriptions onto an earth plate made from the finest slate or marble, which would then be placed in the northwest of your home or business and then setting the special quartz crystals, i-ching coin and the magnetic lodestone ladle would have to point towards the Li palace of the south. This would normally cost tens of thousands of pounds and obviously only available to the very rich which is still the case in many parts of the world and the reason why we create these powerful cures so all can afford them at a fraction of the cost. This is the most influential and imperative cure and enhancer in 2011 and is called a Gui Yao Master cure and can only to be used in Xin Mao (yin metal Rabbit) year, the last time this powerful cure would have been used was in 1951. This cure is needed to enhance and protect in 2011 especially for the eldest male of a home or business and loss of wealth. Each of the rare and valuable semi-precious quartz crystals work in synergy with the inherent element of the Luo Shu Gua Trigrams giving total protection for wealth, health & peace of mind and releasing the #8 star from the powerful energies of the 8 star in the northwest in 2011 to permeate the whole building. The most powerful quartz crystal used is the magnetic Hematite which is a master quartz crystal with amazing protection qualities and also superb for wealth and business, you cannot use normal Hematite as you must have the magnetic type to replicate the lodestone used in the old days, this is very important and if used in any other formation or incorrect crystals it can cause problems. We only use the finest quality authentic handpicked quartz crystals and they have to be placed exactly as shown in the enclosed instructions with an auspicious dynasty Chinese I-ching coin placed in the centre of the earth plate lo shu grid under the lodestone ladle which must measure 4cm in width as this is called a “Chai” which is said bring much money luck. The earth plate Luo Pan again custom made for us and which must measure between 101 & 106mm and engraved with the special and little know talismans and Trigrams and made from 500 million year old Snowdonia slate which is the finest quality earth element you will ever find, This earth plate must face a certain compass direction (the instructions show you how to set this cure up) even if you do not own a compass for northern and southern hemispheres so it does not matter where in the world you live. Feng Shui was actually only available to the rich in the old days. The old Feng Shui Masters would use a Lou Pan compass with a lodestone used as a needle that pointed towards the south as a cure and whilst the ancient Lou Pan is by far the best cure they would normally be far too expensive and only the rich could afford to use them especially as you had to use the lodestone lou pan type compass which nowadays are collector’s items. The reason why you use a Lou Pan is that the Trigram Chien situated in the northwest is an earth element and the shape of a Lou Pan is square which is fire shaped but the most important cure is actually the arrow shape of the lodestone and they resonate with the Chien Trigram so well. We have had this amazing cure custom made at a cost that will suit all pockets and because this cure is essential for wealth and protection in 2011 we decided to include it standard in all our 2011 cures and enhancers kit. Another much needed enhancer in 2011 is eight faceted Crystal Diamond Zuan Shi Cheng. In ancient times this little known cure was used with a very large real diamond with eight facets and you would place a gold i-ching coin under the diamond so it magnifies your wealth luck by eight times. Obviously to do this now would cost hundreds of thousands of pounds and this cure is next best and the quality of the coin and crystal we have selected is quite stunning. This always used with the #8 star especially when it visits the northwest as the energies are in conflict and need to be released otherwise wealth and good luck is affected, the really is a lovely cure and looks spectacular. This absolutely stunning and superb quality 8 faceted crystal diamond activates and enhances the very auspicious #8 Ch’i in your room or office that is located in the northwest in 2011 and when combined with the powerful and auspicious dynasty i-ching coin it makes it eight times more powerful, creating good for the occupants and increases the balance of Yang which is much needed in the NW. Without the Chinese i-ching coin this enhancer will not work as this is used as the catalysts to enhance wealth in 2011. These are a superb enhancer for wealth in 2011 and should be placed in northwest which brings good luck and fortune. These beautiful crystals are of the highest quality which produces amazing results as well as creating the most amazing display of rainbows if placed near a sunny northwest window. Do not place heavy metal in the northwest of your home or office this year and avoid parking cars here if possible, as it will weaken the good earth. Take extra care with health in the months of June and September. Hang a faceted crystal sphere in the northwest of the house. Hang it above head height and twist now and again. The energies of the annual 8 can be activated by human activities. Use the NW room as frequently as possible unless you have received professional advice against it. A red three-legged toad can be placed in the NW. Make sure the toad is facing into the house and not towards the door and the coin is never taken out of his mouth. Introduce some fire and earth colours into the northwest to balance the energies, a quick and easy way is using bed covers, rugs, table covers, sofa throws etc. If your bedroom is here, you can also place an amethyst or any crystal items in the NW of the bedroom to further strengthen the earth element of the benevolent 8. This is also a good study area for children. Place a task light and a crystal globe on the desk to enhance concentration. A romance enhancer is a pair of Mandarin Ducks in the NW this year. Earth colours like yellow, brown, beige or taupe are good colours in 2011 and try and avoid blues, black, silver gold or copper. Keep area active with open windows and doors (yang energy). Li 9 Purple (You Bi) Li 9 Purple is found in the west palace in 2011 and this can cause a mix of good and bad and why the year may seem unsettled although if you place all the cures and enhancers it will not be that bad. 9 Purple is the flying star of future wealth and has an auspicious influence in Period 8. Career opportunities and promotions are probable especially if you have an office or main door in the west in 2011. There is fame and acknowledgement, growth and improvement. Whilst there are many positive attributes to this lovely star this combination can also cause ill temperaments causing relationship problems if left without cures as we have the three killings and Sui Po here in 2011. You should not decorate this part of the building with red colours or triangle shape objects. You should try to keep this area active with open windows and doors as much as security and climate will allow you to do so. Images of a waterfall or a beach with waves are good to place in this area. Good colours here are blues or blacks. Do not use colours like red, pink or purple. If your kitchen falls in this area you must place an image of a water feature as this is the only way to try and balance the negative energy and do not light any unnecessary candles. You MUST NEVER disturb the west inside or out in 2011 with lots of drilling or knocking activities as we have the three killing and Sui Po located here in 2011. So please be careful. You should also place a Ba Gua mirror especially if you have a main door here; use the wealth protector ba gua with the Chinese i-ching on the back. This is a good area in general especially for those in studies. If this is a family area (living, dining or a library), encourage children to study here. Couples with a bedroom in this location can also enjoy good relationships. There may also be a chance of producing intelligent children. If you want to enhance this further place a statue of Kwan Yin in the west part of your bedroom. A very important cure and enhancer and one that must be used and placed in the west in 2011 to release the auspicious energies and dissipate any negative effects from the three killings and sui po; it is also used to enhance romance, relationships, academics and creativity. This powerful enhancer is a very little known amulet charm and the reason it is called “Sheng Chi” is because it creates a cycle of life and works in synergy with the earth’s cosmic breath with a very special quartz crystal, i-ching coin and soil taken from the land around you. At the end of the year in February 4th 2012 the soil, crystal and i-ching coin must be placed back into the ground you took it from as it carries on working for you for a lifetime giving positive and fertile land. This really is an amazing enhancer and cure. This essential cure is made from a strong earth element Ang abundance dish made from ceramic with an auspicious Chinese i-ching coin placed on top of the soil that must be taken from land as close to your home/office as possible alongside a piece of Jasper Brecciated quartz crystal which is a form of Jasper that contains Hematite making this a perfect crystal for protection, healing and keeping one grounded. It is also said to cleanse negative energy and used by Reiki healers and physics. The other crucial crystal we use in this little known cure is Citrine which will be known to many as the “wealth crystal” used at home and business and a great protective crystal used to invite wealth and good luck. Citrine is also a very powerful cleanser of negative energy and gives a very positive outlook and a perfect crystal to accompany the Jasper as they work in harmony from a Chakra aspect at many levels. These two powerful crystals along with the Chinese i-ching coin and chen soil taken from ground as close to your home as possible, so even if you are in an apartment with no gardens you use the communal areas or any ground close to you and make this a powerful and essential cure and enhancer in 2011. I really do love this cure and enhancer. They have all been cleansed of negative energy and empowered with positive Sheng Ch’i energy, which is said to bring wealth, health and good luck. 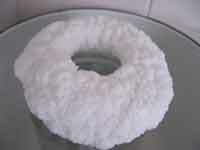 This cure is also a good crystal to energise and clear negative energy in a room. The other vital cure in 2011 is the second (first one placed in the east) synergy cure and enhancer called a Shuang Yan Yu Fu, this is a pair of Buddha’s both with a thought form charm and one placed in the east and the other in the west, these work in harmony with each other and offer much protection and also able to turn good into bad. The Shuang Yan Yu Fu Buddha pair is a powerful and little known cure and talisman that would in synergy with each other at a very high level and communicate through quartz crystals and offer crucial protection for wealth, business, career and relationships in 2011. One of the Buddha’s holds a gold protection talisman in one hand and a Ru Yi in the other this Buddha is said to be one of the most powerful enhancers for wealth and career and must be placed in the west in 2011. The other Buddha holds two gold ingots (Yuen Bao) in his hand and is said to be one of the most powerful enhancers and protectors for wealth generation and wealth protection especially when related to legal problems. You should not use a blue coloured Buddha in the east in 2011 and the reason why we had these sourced in a fire and gold colour to help dissipate the negative energy of the #5 star located in the east and dissipating the #3 wood star making it a perfect cure and enhancer in 2011. Each Buddha has a section at the bottom where they house a Falcon’s Eye crystal which is a fine-grained quartz crystal; it is soft and silky in appearance and comes from the Tigers Eye family. Falcon’s eye is a crystal stone of protection and is traditionally used as a talisman cure against ill wishes, bad luck and curses. It is said to enhance our own personal power, release blocked creativity, and to bring good luck, prosperity, wealth and success and the reason why we are using it in the west as this has a mixed energy of good and bad. As they are such an important cure and enhancer in 2011 we have included them standard in all our 2011 cures and enhancers kit. Although deemed as an auspicious star, the element of the annual #9 star in the west can strengthen the malevolent effects of visiting monthly stars #2 and #5. Hang a set of six Chinese i-ching coins on the wall here to weaken the undesirable influences of the monthly stars #2 and #5 which will visit in July and October. Be aware of the negative influences during the July, August and December and check the monthly flying stars. Healthy green leafy plants or blue flowering plants such as violets are good for this area. Fresh flowers displayed here will bring positive qi too. Symbolic objects such as a wu lou or six Chinese coins can be placed here all year round to enhance benevolent influence and at the same time dissipate the malevolent influence by the visiting monthly #2 and #5. Spend as much time as you can reading this report, save it and print it to read at your leisure as it can save you from a lot of problems. You don’t have to buy any cures and enhancers and I hope you agree I have always given you alternatives to the traditional cures and enhancers but if you do decide to buy a cures and enhancers kit you should read what some of our clients say about the annual cures kits, not only do they offer you protection they enhance the beneficial areas, click on the banner below to read some of the thousands we received over the years. Water placement in 2011: As we entered period 8 (4th February 2004) the use of water outside is critical up until 2024, so a pond outside in the correct area can really work in your favour. You must not unless advised by professional Feng Shui Practitioner place water outside in the north-east up until 2024. Outside water in 2011: Can be placed in the south-west or east, this is your primary and secondary wealth areas for the next thirteen years. In 2011 water outside in the southwest is very good but it would not be advisable to install a water feature this year though as the annual flying star is inauspicious although if you know what your natal chart (flying star chart) is and you also have a good facing star this would make a very powerful combination for wealth. If you do not know what your natal chart is or do not know how to create one take a look at our Feng Shui software as it does all the work for you, follow this link. Indoor water for 2011: You can use a moving water feature or aquarium in the northwest or northeast in 2011. Do not use water in any other compass sectors unless you have had a professional Feng Shui consultation or use our Feng Shui software. If you are using water you must make sure the water is clean and flowing and never allow it to become stagnant. Water is a very powerful enhancer and is the essence of Feng Shui (Shui meaning water) the qi is caught by the water and cleansed (providing the water is clean) and distributed throughout your property. If you look on our resource pages you will find more detailed information on water placement for 2011 and beyond. Whilst the methods above are considered safe, there are many exceptions to the placement of water and as Master Practitioners and teachers we use many more methods of water placement for wealth, education and relationship, these methods whilst extremely powerful can only be used with expert guidance and a full analysis of your property and land formations, please visit this link for more details of an on-line consultation or home/business visit. Or consider our powerful Feng Shui 2011 software. Salt water cure after 4 weeks. Every year we receive thousands of e-mails saying how the salt water cure changed the energy in their home for the better; this is a very powerful and little known cure and one that we have been using for over twenty years. You should use the salt water cure this year February 4th 2010 in the southwest & northeast (DO NOT REUSE LAST YEARS SALT WATER CURES IF IT IS MORE THAN TWO MONTHS OLD). There are many exceptions to be made, the thing to remember with flying stars is, if you have a 5 yellow in a dining room and if it is an open plan home the 5 yellow’s power can drift into any other part of the home, think of perfume, if you sprayed some in your bedroom your partner may still be able to smell it downstairs because the smell goes into the air (Ch’i) and drifts around the home, so as general advice it is better to cure than leave to chance. How to dispose of your old salt water cure? You should change your salt water cure every year, why? Because they store an enormous amount of negative energy and moving it causes problems in all parts of a building. The best way is to get a Tupperware type container (margarine tub etc) and place the entire contents salt, water, glass and coins into it, close and seal the lid and throw straight into an outside bin. If you do not have a container pour the water down an outside drain (one at the back of house that leads away from the building) and place the salt/glass and coins into a plastic bag and place in bin. Please do not try and recycle, it is not worth it, this is the main reason we sell ours so cheap to make sure people can easily and cheaply renew them. Last year I saw a few websites selling these for 4-5 times as much as us. As with all our products they are cleansed of all negative energy and empowered with positive energy and the coins also come from a good dynasty making them even more effective. If you want to be kept up to date with the monthly flying stars click on the link towards the top of the page to join our free monthly newsletter, it is read by over 85.000 Masters, Practitioners and fellow enthusiasts from all over the world. Visit the pages below for further details on 2011 Chinese New Year etc. Are you reallyprepared for 2011? The below copyright information does not apply to anyone who wants to copy our content or send to a friend or even store on your computer for their own personal use and development. Please feel free to copy and paste or share with as many people you like. The below is intended for the people who steal our content and claim it to be their own work.